The Polyco Dyflex Plus N Cut Resistant Gloves (Case of 40 Pairs) provide the highest level of cut resistance according to CE Standards EN388 Testing. The Polyco Dyflex Plus N Cut Resistant Gloves are designed to be a lightweight cut resistant glove with foamed nitrile coating and extra reinforcement between the thumb and index finger (thumb crotch). The product code for these gloves is DPN. 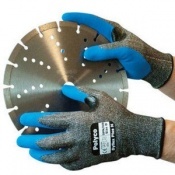 Through this listing, you can purchase the Polyco Dyflex Plus N Gloves in case quantity, getting 40 pairs of gloves at a discounted price. Ideal for engineering and manufacturing businesses of every size, this Bulk Pack allows you to save money on your essentials. 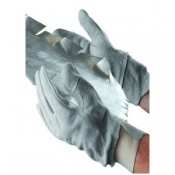 To purchase these gloves in single pairs and for further information, please see the standard listing. The Polyco Dyflex Plus N Gloves are available in four different sizes as detailed in the table below. For instructions on obtaining the correct size for your hand, please see the standard listing.